This might be one of the oddest questions that I have posted on the forum, but are there any nicotine users that can attest to how they managed on the GMAT. I am sad to admit that I am a tobacco user (I dip snus). I am a little concerned about how lack of tobacco might affect my performance on test day. I was thinking of perhaps using a nicotine patch (or nicotine gum losenges etc during breaks) , and was wondering if there was anyone who can attest to whether or not this was helpful on exam day. To start, you should not be trying anything "new" on Test Day, so if you're curious about how a nicotine patch would impact your performance, then you should try using it on days that you take your practice CATs. 1) On what dates did you take each of your Official GMATs? 2) How long have you studied in total? 3) What study materials have you used so far? 4) How have you scored on EACH of your CATs (including the Quant and Verbal Scaled Scores for EACH)? 5) What is your goal score? 6) When are you planning to take the GMAT? 7) When are you planning to apply to Business School? 8) What Schools are you planning to apply to? Hello Rich. It is so good to hear from you again. 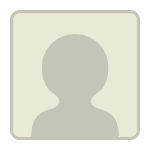 I have been a subscriber to your service for some time now, and you had followed up with me previously on the forum. I am still a huge fan of you and your service. In any case. I took up using snus tobacco 5 months ago and I have used it during my last several CATS. I would like to take the test in about a month. I have finished most of the modules in your course an mainly just use it now for mistake tracker. 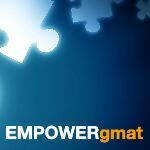 I have exausted OG and study with gmatclub quizzes and problem sets i build from the forum here. The most recent CAT I took was GMATPREP exam 3 and I scored 700 with V39 Q48. My Cats previous to that one was 690 (GMAT PREP) V38 Q47, 690 (GMAT PREP) V38Q47, 690 Manhattan V39 Q45. My target score is anything 700 or above with a minimum Quant subscore of 49. my goal is to apply to finance PhD programs ranked 40-150 in terms of research productivity in top 4 journals. I plan to apply to 20 schools, but some of my hopefuls are Washington State, University of Oklahoma, University of Missouri, University of Arizona, and University of Pittsburgh (a stretch). I was thinking of using the patch, or perhaps (somewhat closer to what I am used to) popping a losange or nicotine gum during the breaks at the testing center. I welcome any feedback you have for me. From what you describe, it certainly sounds as though you've developed the necessary skills to hit your Score goal. Since I don't use nicotine, I can't offer much advice on how best to account for that issue on Test Day - other than to say that any type of nicotine withdrawal or heavy 'craving' during the Exam would probably distract you and keep you from performing at your best. As such, there's all the more reason for you to 'experiment' a bit with a nicotine patch (or lozenges or gum) now - so that you're properly prepared for how you might use one on Test Day. My guess is that there will be some short-term fluctuations in your practice scores, as you adjust to the patch and determine the proper 'dose' would be best for you. Thankfully, that shouldn't impact your knowledge, just how you respond under testing conditions.